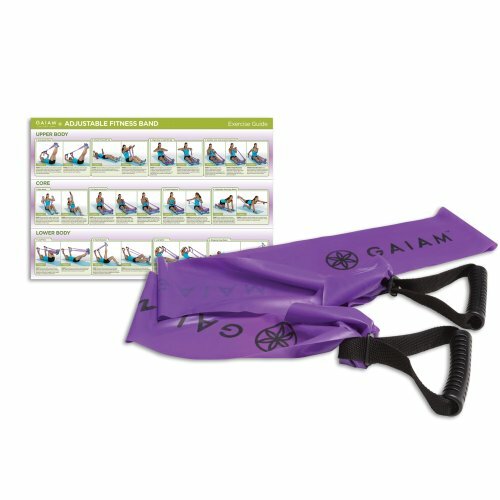 Take your workout to a whole new level with Gaiam’s Adjustable Pilates Band, as you control your workout challenge! The two secure-grip handles are not only comfortable, but allow you to adjust the length of the band for varied resistance levels. Turn up the intensity of your workout with ease. Kit includes an exercise guide that illustrates different fitness moves guaranteed to slim, trim and tone muscles quickly.